We are manufacturer of blasting / peening equipment since 1979. 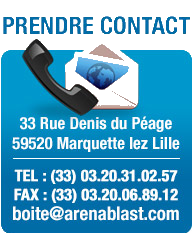 Our offices and workshops are located in Marquette in the suburbs of Lille. Our methods of integrated manufacturing and our qualified staff give us autonomy and flexibility for the best possible quality of customer service.